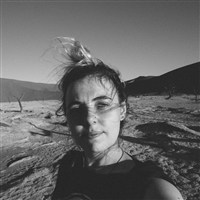 Nadine van Zyl has won Free Accommodation 1 time! "Thanks SLEEPING OUT! What a lovely surprise." 40 Free Accommodation Winners so far! 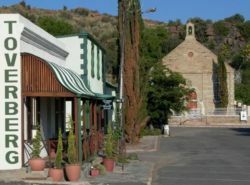 Toverberg Guest Houses consist of restored historical town houses in the quiet part of Colesberg. Colesberg is a traveler's oasis on the main routes to the coast and interior where the N1 and the N9 meet. In Bell Street, rich in history, we offer 2 and 1 bedroom private units with limited self-catering facilities, DSTV bouquet and lockup garages or parking behind a security gate. Some drivers with the new style big bakkies may experience difficulties with parking. Breakfast is provided on request. All our accommodation is pet and child friendly. Restaurants, museum, and shops are within walking distance. From its earliest days Colesberg has been a bustling town yet also a resting and meeting place. It became the gateway to the north for explorers and hunters, later for those adventurous enough in seeking their fortune on the Diamond and Goldfields. Colesberg today, is also the southern gateway to the Lake 'Xariep Tourist Route R58. This route R58 covers Gariepdam, Norvalspont, Venterstad, Oviston and Bethulie. The Colesberg-Kemper Museum with its 19th century toy collection and memorabilia is the permanent house to the UNISA Karoo Nomad Photographic Exhibition. Of interest are also the Anglo-Boer War and the Struggle rooms. Together with Anglo-Boer War sites and a fine selection of 19th century buildings Colesberg offers an exciting reflection on the past and present. In close proximity you can enjoy a nine-hole golf course with challenging Karoo fairways, well-maintained grass greens, aprons and well-equipped club house facilities. Other facilities in town include tennis courts, cycling and walking routes, the family and pet walking route, bird watching and unique sunrises and sunsets as only the Karoo has to offer. The Doornkloof Nature Reserve is approximately 45 km North-west of Colesberg around the confluence of the Zeekoei and Orange Rivers. We welcome you to experience and explore the town, enjoy the warm hospitality of this unique place and its people.